Nicole Aptekar’s work harnesses basic shapes from the digital world, reifying them in physical reality to expand the liminal space between. Through a wide range of techniques ranging from custom software crafted for each piece to careful composition and contemporary CNC fabrication methods, her process itself continuously evolves in order to realize complex and graceful forms in our tangible reality. Nicole is fascinated by the transitionary state humanity has found itself in, where the boundaries of digital and physical, virtual and real, having only just been established, are almost immediately washing away. Her work lives on this tenuous divide, confusing the notion of a render and a photo, handmade and computer-fabricated. Nicole’s art is an artifact of a process, but the path to determining that process has been anything but smooth. 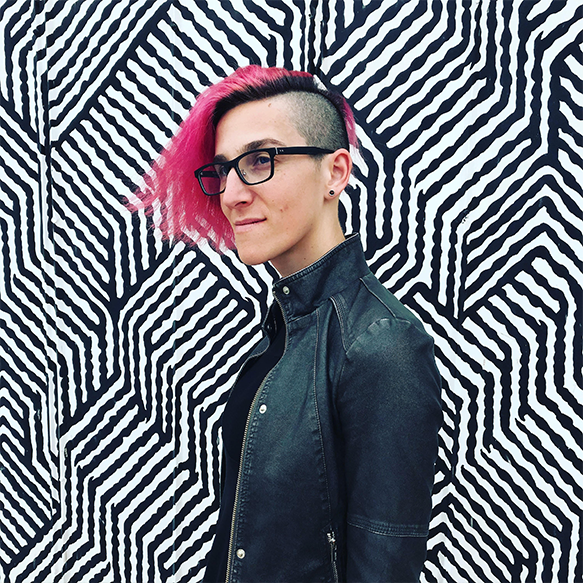 From massive plaza-scale sculptures to intricate paper wallworks, she’ll share how her accomplishments and disappointments led her down the path from discrete projects to art as a practice.